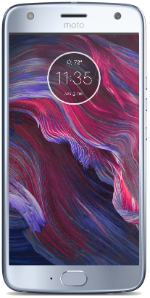 The Android One Moto X4 is a rugged 4G LTE smartphone with a 5.2-inch FHD display with 1080x1920 resolution and 424ppi. The phone is powered by a 2.2GHz Octa-Core Qualcomm Snapdragon 640 processor with 3GB of RAM. There is an internal storage of 32GB with a microSD card slot for up to 2000GB memory expansion. 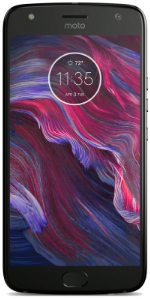 The device has a dual-camera configuration on the back with a 12-megapixel main shooter and an 8-megapixel ultra-wide angle lens plus a 4K video recorder. Another camera is available in front with a 16-megapixel camera. It also includes a non-removable 3,000mAh battery and a fingerprint scanner. The phone runs Android 7.1 Nougat OS upon release. Colors include Sterling Blue and Super Black.